Here are the answers to some of the most frequently asked questions we’ve received about BitChord’s Crowdsale, our business model and way the platform will be developed and used by guitar players, users and musical equipment retailers. If you have additional questions, join our Telegram or Slack channels. What is This? | What is BitChord? | How does this work? This is a token sale to fund the development of the BitChord Platform. 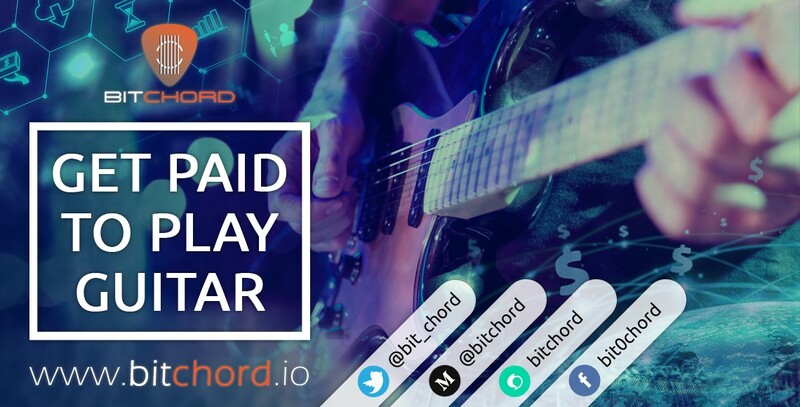 BitChord is creating a Global Blockchain-based platform to give guitar players unprecedented control over how they engage with their audiences as well as how they manage and earn from their content. The zero-fee platform will be the first-of-its-kind, fully integrated blockchain based solution that serves as the backbone for guitar players in the way they share, sell and have their content rated. To purchase tokens and contribute to the guitar blockchain revolution register here. For a more lengthy description please read our White Paper. The tokens will be able to be traded on the open exchanges at the end of the token sale just like any other utility tokens or crypto currency. How do I purchase BitChord tokens? Please register on our web site, confirm your email and log in. You will need the Metamask browser plugin installed. It provides safe and secure Ethereum payments.  Select the amount of tokens you would like to purchase. The system will calculate your price in USD and ETH. Please keep in mind we accept only Ethereum payments. Use the ‘Pay Now’ button to complete your payment using Metamask. I donÕt use Metamask, can I still participate in the crowdsale? Yes, of course. If you access your Ethereum wallet via a secure hardware wallet such as Ledger Nano S, Trezor or other you will be able to send ETH directly to our smart contract’s blockchain address. The smart contract then will automatically calculate your token quantity and send it back to your wallet. Do not use wallets held on exchanges (Kraken, Bittrex, Coinbase, Binance etc) to participate in our crowdsale as it may be difficult to receive your tokens. How will I receive my BitChord tokens? After submitting your ETH payment via Metamask or directly to our smart contract’s address, the system will automatically send your tokens to your ERC20 compatible wallet you sent funds from. Do not use wallets held on exchanges (Kraken, Bittrex, Coinbase, Binance etc) to participate in our crowdsale as it may be difficult to receive your tokens. Is there a minimum contribution? Yes. It’s 0.1 ETH. Transactions for a smaller amount will not be processed by the system. I don’t have Ether. How can I invest? There are several online platforms that let you purchase Ethereum with debit cards, credit cards, PayPal and bank transfer. We recommend signing on a platform like Kraken,Bitstamp or Coinbase, or a crypto marketplace like Shapeshift and buying some ETH, then transferring it to your ERC-20 compatible wallet. You can then participate in BitChord’s Crowdsale by registering on the site and purchasing tokens through the Buy Tokens button. Can I purchase music equipment with the BitChord coin? What are the tokens for? We are working on it. After the launch of the BitChord platform, we will work on establishing partnerships with leading music equipment retailers to get BCD Tokens accepted as means of payment on our partners’ websites. Can I make a deposit to purchase BCD from a wallet on an exchange? No, unfortunately. Using exchange wallets to participate in our crowdsale may result in difficulties receiving your tokens. Blockchain addresses at cryptocurrency exchanges while being controlled by the user are still owned by the exchange. Which wallet should I use to store my tokens? We will transfer your tokens to the ERC-20 compatible wallet youÕve used to send your ETH payment. A good example is www.myetherwallet.com. How do I transfer tokens into my wallet? | When will the tokens be available for me to trade? You must have an ERC-20 compatible wallet. We will distribute tokens to your wallet immediately after receiving payment, however the tokens will be available to trade only after the end of the BitChord crowdsale. Do not use wallets held on exchanges (Kraken, Bittrex, Coinbase, Binance etc) to participate in our crowdsale as it may be difficult to receive your tokens. No, BCD tokens are not mineable currency. You can earn BitChord tokens by using the BitChord platform as a guitar content creator. How can I get paid to play guitar? BitChord platform users who create and upload high-quality guitar content after platform development (guitar performance, guitar lessons, educational videos, backing tracks, Guitar Pro files etc.) will be rewarded with BitChord tokens. Our guitar content advisors will ensure that only quality materials are uploaded and their creators are awarded accordingly. You will be essentially “mining” BitChord tokens by playing guitar. The tokens will be put back in the reserve for further development of the functionality of the platform. How is this different than other music blockchain ICOs? BitChord is a true utility token focused on data aggregation and data management for guitar players who wish to capitalize on their original content, whereas existing blockchain platforms only focus on increasing royalty payments received by artists, streaming radio, buying artists’ merchandise and socializing. Yes. However please remember that it’s always your responsibility to abide by the laws and regulations in the country/territory where you reside. Please refer to BitChord’s Terms and Conditions, Terms of Token Sale and Risk Disclaimer. How can I earn BitChord tokens by promoting the token sale? BitChord is offering a Bounty Program in order to reward supporters who help BitChord reach out to more people on the internet. The Program will run until the end of the Token Sale. A total of 2% out of the total supply of 110 Million tokens are reserved for the Bounty Campaign. To learn more, visit our bounty page. Can I make money off of this? We are conducting the token sale based on the fact that BitChord tokens do not constitute any type of an investment instrument. The BCD tokens are designed as true digital utility tokens and are not securities. However price of digital utilities such as cryptocurrencies statistically has shown significant growth over the past few years. Please see our White Paper and Terms of Token Sale for more information. Where can I get more information about your ICO?